Company Profile - Corporate Profile | NIHON CELLONPACK CO., LTD. 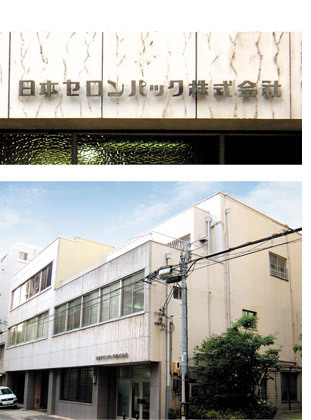 Branches and Area Offices: Nagoya, Fukuoka, Shizuoka, Ehime. 215, Sky Forest Bldg. 302, Nadamachi, Iyo, Ehime 799-3114. 1-4-7, Nicello Bldg, 2F, Itoyamachi, Chuo-ku, Osaka 540-0022.